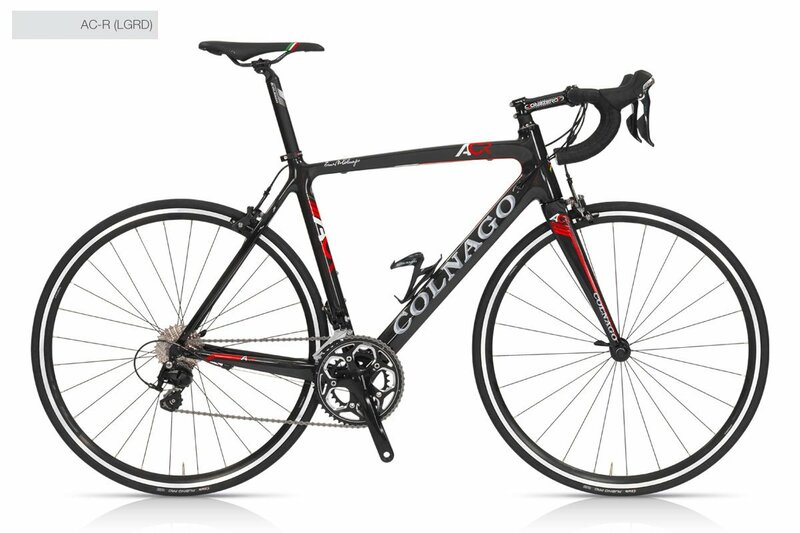 AC- R is the entry level frame in Colnago carbon range. Is monocoque and has been designed in full compliance with racing philosophy of the brand. Who is it for? At a public demanding in terms of performance, but with an eye also to the cost . The setting of the geometry is a major plus, both from the point of view of design in both the number of sizes, as many as eight. The riding position is a summary of Colnago knowledge, performance and comfort mixed in a perfect way to combine handling and pursuit of maximum performance. AC- R, is designed for installation of both mechanical groups and electronic Campagnolo Eps and Shimano Di2 . 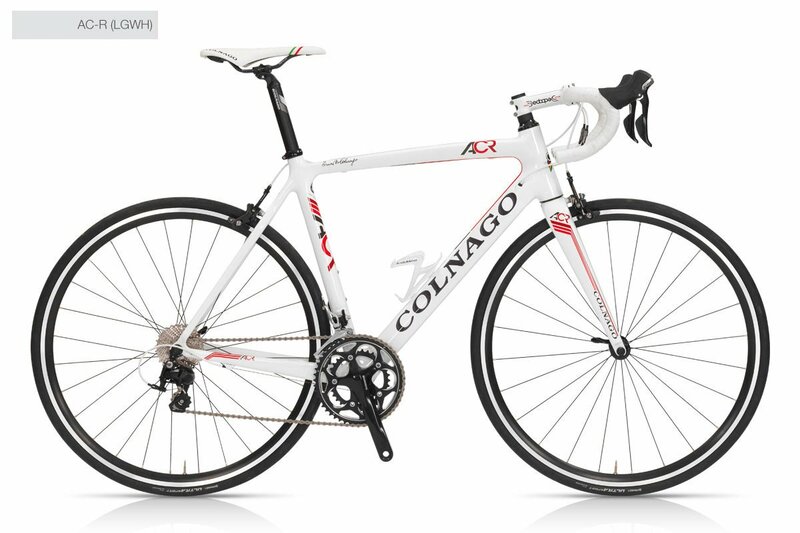 The outstanding performance in any road situation, the ability to contain the price within very interesting limits, makes AC- R absolutely attractive for a wide range of cyclists. This frame is available with three settings: Shimano Ultegra 11s, Shimano 105 and Campagnolo Veloce. Even just frame kit. Eight sizes available, all sloping, luxury that few other frames, even at higher range, they can afford: 42s , 45s , 48s , 50s , 52s , 54s , 56s and 58s.